Whether you’re a college student attending lectures or an office worker sitting in on daily meetings, it’s helpful to have a second set of ears which captures the valuable audio content happening around you. With the Uqique USB Recorder With Playback, get the versatile recorder that captures audio, plays music, and more. This recorder gives you the versatility to take on any audio challenge thrown your way. First off, it’s a fantastic tool for recording everyday events — like class lectures or business meetings — so you can revisit valuable audio content at your leisure. Even better, it records crystal clear audio with intelligent noise cut filtering and voice amplification, so your professor or work colleague’s voice will be incredibly easy to recognize and understand. 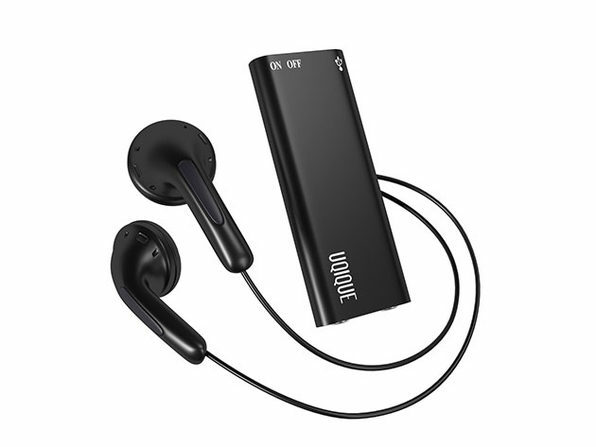 On top of that, the Uqique USB Recorder is user-friendly while giving you more functionality than just recording audio. This means you’ll store up to 96 hours of recordings on the device at a time, get 10 hours of battery life on a single charge, take it anywhere thanks to its compact size, and start recordings easily with its one-touch design. Plus, it lets you play your favorite music so you don’t have to kill your phone’s battery while also acting as a regular USB drive where you can store and transfer important files. Get it for 18% off at just $21.99 in The Daily Caller Shop.